KILLINGTON—On Feb. 10, Tao Smith, head of Killington Mountain School, announced the final public phase of the Trails Initiative campaign in a letter to the KMS community and its supporters. 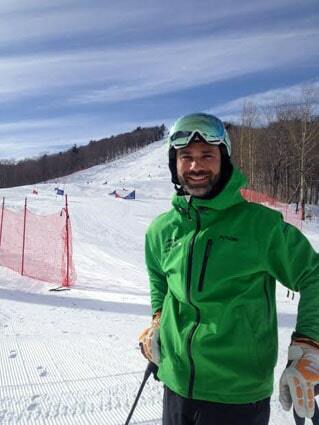 Back in July 2013, KMS had announced its goal of improving the venues at Killington for local training programs while supporting a higher level of regional and national competition. The school has since raised 100 percent of the funds needed through private and foundation donations. “To date, with the support of nearly 150 donors, KMS has raised $645,000, of which $500,000 has been put directly into the hill. The remaining $145,000 is in the bank, and with two months left to raise $255,000, we need everyone’s support to make this vision a reality,” Smith wrote. Phase I of the Trails Initiative involved widening the lower half of Highline, doubling the width of the available terrain, and creating a brand-new, permanent mogul venue. Phase II included snowmaking improvements, including the installation of a snowmaking pipe down the entire length of Highline on skiers’ right, and through the purchase of 28 new tower guns, all installed on skiers’ right. This now provides top-to-bottom snowmaking on both sides of the trail. KMS hopes that with a final fundraising push, it will be able to begin work on Phase III this spring. An additional component to the venue development project is the creation of a permanent air bag jump venue, but KMS plans on pursuing alternate funding sources for that project in order to begin construction as soon as possible. Killington Mountain School academy and development programs, in partnership with Killington Ski Club, serve over 400 local and regional kids per year and thousands of youth from across the Eastern region benefit from competitions hosted at Killington. “The pursuit of winter sports is an amazing opportunity for youth, encouraging a healthy lifestyle, learning to face challenges with courage, perseverance, teamwork, commitment, pursuit of personal best, all while having fun and enjoying the ride… What better cause could we invest in locally than kids?” Smith asked.